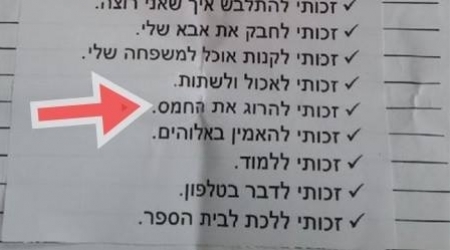 Teachers at an Israeli school recently delivered a worksheet to their students which includes, in a list of rights, the right of "Killing Hamas". This surprised some students' parents enough to cause them to make a formal complaint against the school, Al Ray Palestinian Media Agency reports. According to Channel 10 Hebrew News, students of Tel Aviv's "Blokh" school were shocked to see the bizarre inclusion on a 2nd grade worksheet. Parents were quoted to say that "instead of protecting the students, the school throws them in politics beanball", noting that such curriculum was not appropriate for 2nd graders. Other rights reportedly included the right to swim, the right to eat ice-cream, the right to buy stationary, the right of education, the right to faith in God and the right to eat. The Israeli Ministry of Education responded as saying that this point is an initiative of one of the pupils but stated. however, that the right does not fit in with the laws of "democratic" countries. 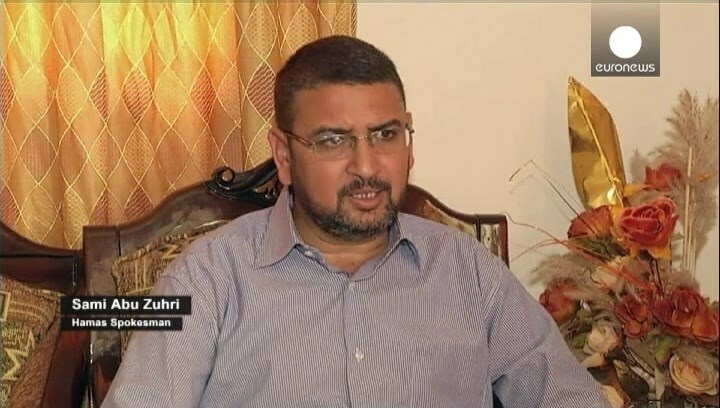 Spokesman for Hamas Movement Sami Abu Zuhri said Tuesday that U.S. latest statements that Israel is a Jewish state will encourage racism. The Israeli government had on Sunday overwhelmingly voted in favor of approving the Jewish state law for the state of Israel. The decision created large controversy among Palestinians in Palestine 48 as it threatens their presence in their own lands. 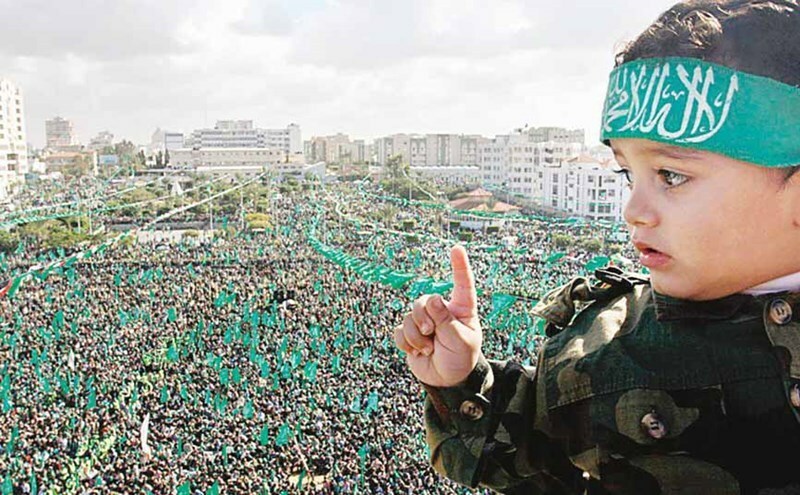 Hamas said that Israel's decision aims to ignite a religious war in the region. The Movement added, in the statement, that the law “sets off alarm bells for Palestinians, Arabs and Muslims about Zionist ambitions in the region." The law represents a clear declaration of Israel's adoption of the Apartheid system, the statement added. For his part, Palestinian MP Mushir al-Masri considered the Israeli law as a second Nakba (catastrophe) to the Palestinian people, and a new blow to those who still believe in the negotiation process. In an exclusive interview with the PIC, MP al-Masri said that the law reinforces Israeli racist and arbitrary policies against Palestinians as it poses a real threat to a million and a half million Palestinians within the Green Line. "This law reinforces our demands to boycott and impose sanctions on Israel", according to his statement. Although a Knesset vote on the bill has been delayed until next week due to the government coalition crisis, Israel's premier Netanyahu has promised to push forward with the "Jewish state bill," with or without his coalition partners' backing. Israeli officials, on Tuesday, mocked US concerns about the controversial new "Jewish State" bill that was issued on Sunday, with the cabinet set to vote on and approve it Wednesday, November 26, 2014. The bill was opposed by 7 ministers and approved by 15. According to the PNN, PM Netanyahu is also planning to issue a new law which eliminates the Arab parliamentary MKs who support Palestinian resistance, as well as withdrawal of nationality from Palestinians living in Israeli-occupied lands, should they engage in resistance actions. Israeli criticism of the United States' stand on the new legislation was reportedly voiced through Israeli lawmaker Zeev Elkin, who rebuked U.S. spokeswoman Jen Psaki for a statement demanding Israel act democratically and just to all of its citizens. Mr. Elkin's response to her statements was that Israel does not need any advice, from across the sea, on how to handle its affairs. The bill was opposed by Israeli ministers Tzipi Livni and Finance Minister Ya'ir Lapid, from the Yesh Atid party. Palestinian PM Dr. Rami Hamdallah declared that the bill paves the way for more discriminatory laws, especially with the spread of extremism and racism in Israel, in addition to policies implemented by Israeli authorities against Palestinians, especially in Jerusalem. He is calling on international organizations to interfere by sanctioning Israel and make it adhere to international law and human rights conventions. Israeli authorities continue to insist on new discriminatory laws like the ones recently proposed PM Netanyahu suggesting Israeli incitements of murder, home demolitions, ID withdrawal, job discrimination and numerous Israeli policies against Palestinians. Strong denunciation of the Prime Minister's crusade of incitement was voiced from within the cabinet, while showing support for the efforts of Palestinian president Mahmoud Abbas to prompt a Palestinian state recognition based on the 1967 borders, setting a just solution for Palestinian refugees according to UN Resolution 194, releasing all prisoners and setting East Jerusalem as the Palestinian capital. Furthermore, Israeli opposition leader Yitzhak Herzog has called on Livni and Lapid to leave Israel's coalition government, accusing PM Netanyahu of putting Israel's interests at risk. "I call on [Justice Minister Tzipi] Livni and [Finance Minister Yair] Lapid and their parties to join us in changing the face of the country," Herzog said during a Labor Party meeting on Monday, according to World Bulletin. "You can still repair the damage – leave the government as soon as possible," he added, saying additionally that Netanyahu had failed on the economic and security levels, and also in terms of the peace process with the Palestinians. American Jewish satirist and filmmaker Ami Horowitz said he received unexpected reactions from University of California students when he decided recently to perform a stunt by waiving ISIS (Islamic State) and Israeli flags on campus. His filmed stunt was a cynical attempt to mock and question the "wisdom" of California students at one of the most prestigious universities in the US. "I have always thought that there was no connection between intellect and wisdom. To put this theory to the test, I headed out to the University of California, Berkeley," Horowitz said on his blog. "Students at Berkeley clearly have a lot of intellect; it is one of the most prestigious and selective universities in the country. But do they have wisdom? I went to the bucolic campus armed with a flag that represents the greatest evil known today, ISIS. If these [students] are our best and brightest then we should all be afraid, very afraid," he added. Horowitz's video recording shows him waiving the flags separately in different places on campus while loudly saying remarks to attract the student's attention and provoke their reactions. "ISIS is misunderstood. We just want our own state. Western and American imperialism are to blame, not us. We just want a state of our own, an Islamic state, no different than America," he yelled as waiving the ISIS flag. 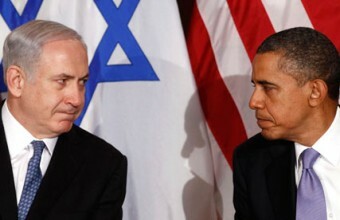 "The blood of the Middle East is on the hands of America. American imperialism is responsible for death all around the world," he said further. Contrary to his expectations, one passing student wished him "Good luck" while another gave the thumbs up in the air. Most people just walked by without paying much attention; however, the only criticism came from a man telling him smoking is not allowed on campus. When Horowitz did the same stunt while waving the Israeli flag, the reactions were much different. He received scathing verbal attacks, yells and middle fingers. 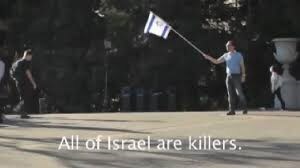 Watch the video and see what happens when you waive an Israeli flag on American campus. Hamas said in a statement Sunday that such an Israeli Jewish state bill "sets off alarm bells to all Palestinians, Arabs, and Muslims over the avarice of the Israeli occupation in the region and paves the way for a forthcoming religious war." The statement warned the international community against the Israeli chauvinistic dogmas, pointing out that they were clearly reflected in the endorsed bill. It reiterated Hamas’s firm rebuff of Israel’s right to establish a home of its own in the Occupied Palestinian territories. Hamas’s statement was released against the backdrop of Israeli cabinet’s approval of a Jewish state bill defining Israel as the national homeland of the Jewish people, thus, raising concerns over the future of Israel’s non-Jewish population. 14 Israeli ministers voted in favor of the draft, while six, identified as five cabinet ministers from the Yesh Atid party along with justice minister Tzipi Livni, voted against. The bill seeks to define the identity of Israel as the nation-state of the Jewish people, and to anchor the values of the “state of Israel” as a Jewish and democratic state in the spirit of the principles of the Declaration of the Independence, according to the cabinet decision. Israel “has equal individual rights for every citizen and we insist on this. But only the Jewish people have national rights: a flag, anthem, the right of every Jew to immigrate to the country, and other national symbols. These are granted only to our people, in its one and only state,” Israeli premier Benjamin Netanyahu said at the start of the cabinet meeting. “There are those who want the democratic (element) to take precedence over the Jewish, and there are those that want the Jewish (element) to take precedence over the democratic. And the principle of the law that we are proposing here today — both of these values are equal and we must consider them equally,” the premier further claimed. Israeli Cabinet Votes in Favor of "National Jewish State"
The Israeli cabinet voted, on Sunday, in favor of a "Jewish State" bill, which PM Benjamin Netanyahu says will balance democracy with Judaism. "Both principles are equal and must be given equal consideration," he said before the meeting. PNN reports that 16 ministers voted in favour of the bill, with 5 in opposition, saying that it runs contrary to Israeli law. 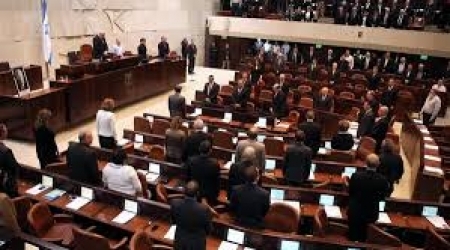 A preliminary vote in the Knesset is to take place on Wednesday. The proposed legislation will then go to a Knesset committee, where it will be combined in accordance with Netanyahu's draft. Netanyahu said that the state will carry "the principles he believed in", describing the opposers as "weak." 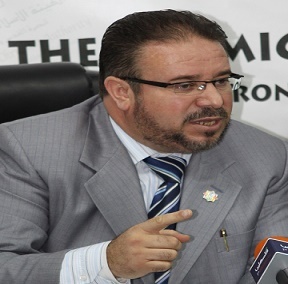 Dr. Hasan Ali Khater, head of the International Jerusalem Center, stated that the recent Israeli cabinet decisions regarding occupied Jerusalem are a declaring war on the Palestinians, and a green light to Israeli extremists to continue their assaults and violations. He said the decisions made by the cabinet would also lead to further escalation in Jerusalem and the West Bank, adding that he believes more clashes likely to take place on a larger scale. Khater told Palestine Today online daily that the Israeli measures and violations, its reactions and collective punishment, including against the families of Ghassan Abu Jamal and Odai Abu Jamal, who carried out the Tuesday Yeshiva attack in Jerusalem, would just lead to escalating violence in every part of the country. He added that deciding to provide more arms to the settlers is yet another green light encouraging them to conduct more crimes against the Palestinian people. Following the death of five Israelis in Jerusalem, the Israeli cabinet decided to install various roadblocks in Palestinian neighborhoods in occupied East Jerusalem, to increase security measures, escalate the military searches of homes and communities, and to demolish the homes of the two Palestinians who carried out the attack. Khater stated that the decisions are a continuation of Israel’s violations against the Palestinians, and the holy sites, in occupied Jerusalem, and the destruction of homes and property, in addition to imposing high taxes and fines on the Palestinians. He also said that fanatic Israeli settlers are responsible for so many crimes; including the abduction and brutal murder to Mohammad Abu Khdeir, and the murder of Yousef Rammouni, the burning and defacing of holy sites, and that the Palestinian attacks are acts of retaliation to ongoing crimes. Khater demanded all Palestinian factions to unite, protect Jerusalem, and its holy sites. Attempts to pass legislation that would officially define Israel as the nation-state of the Jewish people are being held up by internal problems within Israel's ruling coalition, problems which may ultimately result in new elections. Although the legislation has yet to be drafted, its prime mover, MK Zeev Elkin (Likud) is pressing for it to include institutionalising Jewish law as an inspiration for future parliamentary legislation and canceling the status of Arabic as an official language, alongside Hebrew. Passing the legislation was part of the pact to which parties agreed before joining the ruling coalition government. On Sunday, however, Justice Minister Tzipi Livni (Hatnua) exploited a bureaucratic measure to delay a vote on the bill in the Ministerial Legislation Committee, a move reportedly supported by the Yesh Atid party. Livni has previously expressed her disagreement with such legislation if it isn't coupled with measures to ensure Israel's democracy. Existing coalition tensions were exacerbated as the Jewish Home announced it would vote against all measures proposed by the two parties and Prime Minister Netanyahu announced that he himself would bring the proposed bill for discussion at next week's government meeting. “This is a principled and important topic for the future of the Jewish people in the state of Israel”, he stated. In May of this year, Netanyahu alluded to the timing of this legislation, stating it was vital at a time when aspects of Israel's legitimacy were “under a constant and increasing assault from abroad and home”. Given that the inherent contradictions and attendant policies between 'Jewish' and 'democratic' state are the driving force behind these “assaults”, such legislation will – and should – serve only to strengthen attacks against evolving apartheid rules. The Israeli government plans to provide shelter to 6,000 Jews who were internally displaced by the Western-backed conflict in the Ukraine, according to Israeli newspaper Maariv. Al Ray correspondence reports that the plan comes in light of the domestic infighting taking place in Ukraine, which is leading to the displacement of hundreds of the country's Jewish population. 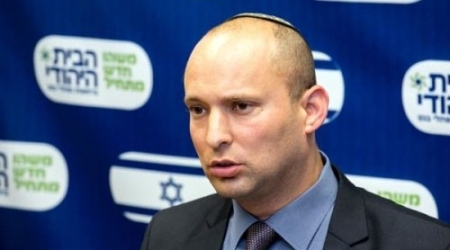 Israeli authorities are said to be secretly constructing a number of refugee camps to receivethe displaced Ukrainians, under the supervision of Israeli Minister of Economy, Naftali Bennett, said the newspaper, but did not specify the location of the camps. 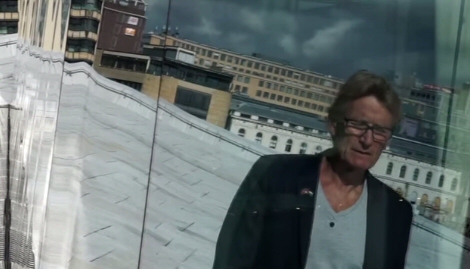 Israel has blocked Dr. Mads Gilbert from entering the country and, thereby, accessing the Gaza Strip but denied, Monday, that it had imposed a lifelong ban on the medic. "He has been banned from entering Israel," Foreign Ministry spokesman Paul Hirschson told AFP, categorically denying reports that Gilbert had been blocked from entering Gaza. Access to Gaza, under an Israeli blockade since 2006, is possible only through the Erez crossing, from Israel, or via the Rafah terminal at the Egyptian border. However, Ma'an reports, Rafah has been blocked by Cairo since a deadly suicide bombing in northern Sinai on October 24, leaving Erez as the only point of entry to the Palestinian territory.